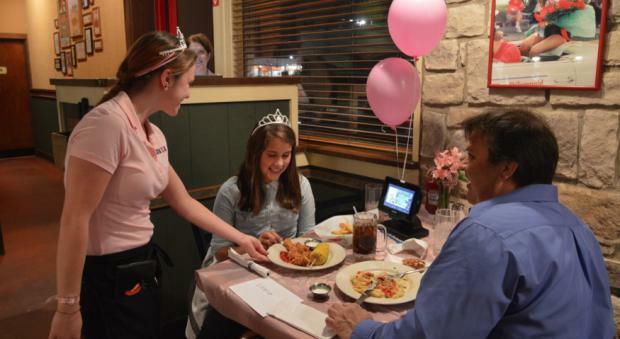 A few times a year Chili's hosts a Daddy Daughter night. Daddy Daughter duos are invited to enjoy time together and a shared dessert on us. 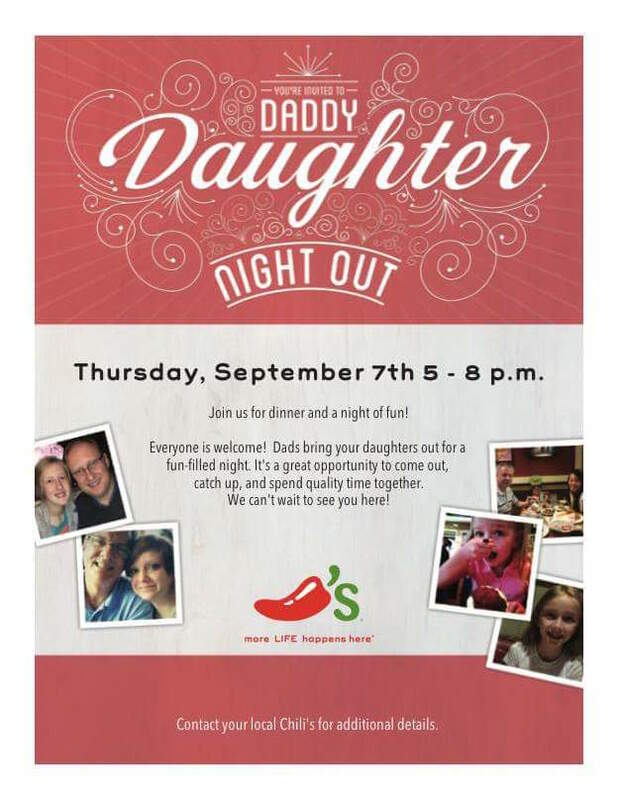 The management at Chilis in Stephenville has afforded me the opportunity to assist in coordinating, decorating and publicizing this event.